Radka Toneff was a Norwegian jazz singer who died in 1982 at the tragically early age of 30. Her last studio recording was Fairytales with pianist Steve Dobrogosz. It is a mixture of standards (this is probably the last time an Elton John track will be recommended on an overgrown path!) and original compositions. The interpretations are quite straight, they remind me somewhat of Norma Winstone. But the singing (and piano accompaniment) are totally sublime. The producer was Norwegian bass legend Arild Andersen at an early stage of his career. 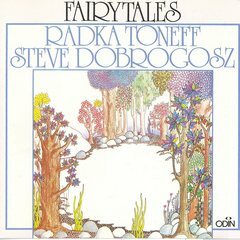 Radka Toneff: vocals; Steve Dobrogosz: piano.